Cholesterol is a soft waxy substance and is an essential body fat (lipid), that is carried around the body in the blood, it can be found in all the body’s cells. Only a small amount of the cholesterol in the body comes from your diet, it is mostly made in the body by the liver. The dietary cholesterol is found in food that comes from animals such as meat, poultry, fish, seafood and dairy products, especially egg yolks. Cholesterol is required by the body to keep itself healthy, but too much cholesterol circulating in the blood is a health risk. Low density lipoproteins (LDL), commonly known as bad cholesterol. LDL is the major cholesterol carrier in the blood. If there is too much LDL in the blood it can build up on artery walls. A high level of LDL cholesterol may give you an increased risk of coronary heart disease. High density lipoproteins (HDL) commonly known as good cholesterol. HDL is actually good for maintaining the health of the heart and preventing the narrowing of the arteries (atherosclerosis) because it appears to carry cholesterol away from the arteries and back to the liver for disposal. This is why the ratio between LDL and HDL cholesterol is important. Usually the body maintains a balance of cholesterol, making more if it needs it and getting rid of any excess. But sometimes this balance goes wrong. LDL levels can be lowered by eating a low fat diet and HDL levels can be raised by exercising. What causes cholesterol to be high? In the UK too much saturated fat in the diet is the most common cause of high cholesterol. Saturated fat encourages the body to make more cholesterol than it needs or can get rid of. In the UK we tend to eat a lot of saturated fat and this is probably why we have one of the highest rates of coronary heart disease in the world. If you are a cigarette smoker you have about twice the risk of having a heart attack than a non smoker. If you also suffer with high blood pressure and high cholesterol, the 3 factors together multiply the chances of you suffering a heart attack by more than 8 times. 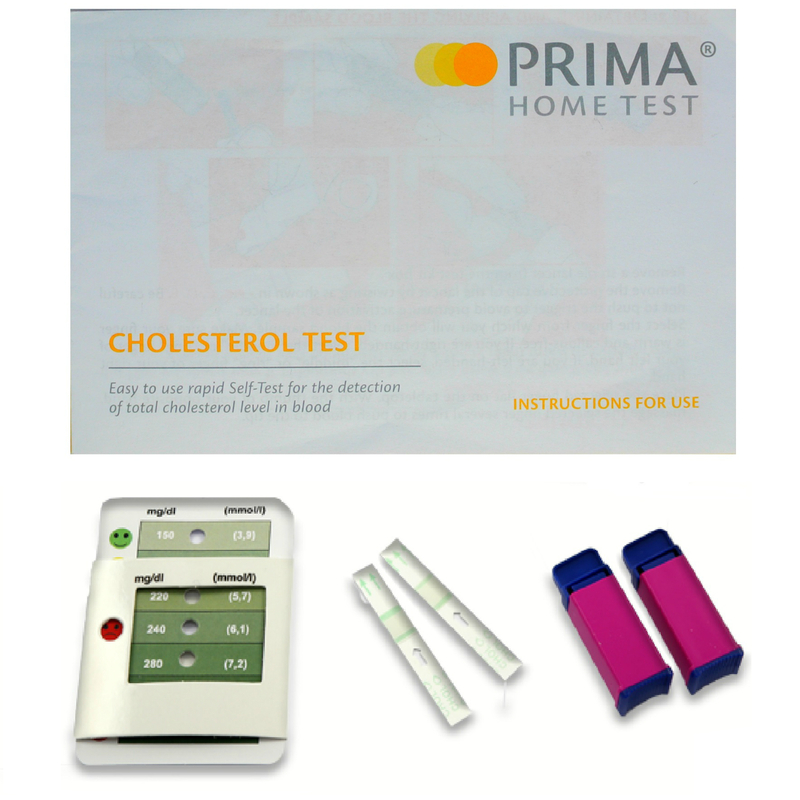 However, high cholesterol levels can occasionally run in families, and in this situation it is usually because the body does not cope well with normal amounts of cholesterol being eaten. What happens if my cholesterol level is high? If there is too much cholesterol in the blood and the body can’t get rid of it, the unused cholesterol can builds up in the artery walls, leading to the hardening and narrowing of the arteries. This narrowing of the arteries slows down the flow of blood to your heart, this condition is known as arteriosclerosis. In severe cases the blood supply can be cut off completely, it is at this point a heart attack occurs. If an artery in the brain becomes blocked this can trigger a stroke to occur. You don’t normally know if you have high cholesterol, as there are no symptoms of it. If anyone in your immediate family has suffered a heart attack before the age of 50, you have diabetes, are overweight or smoke or you believe you have an increased risk of heart disease or stroke then you should go to your doctor and ask to have your cholesterol levels checked. 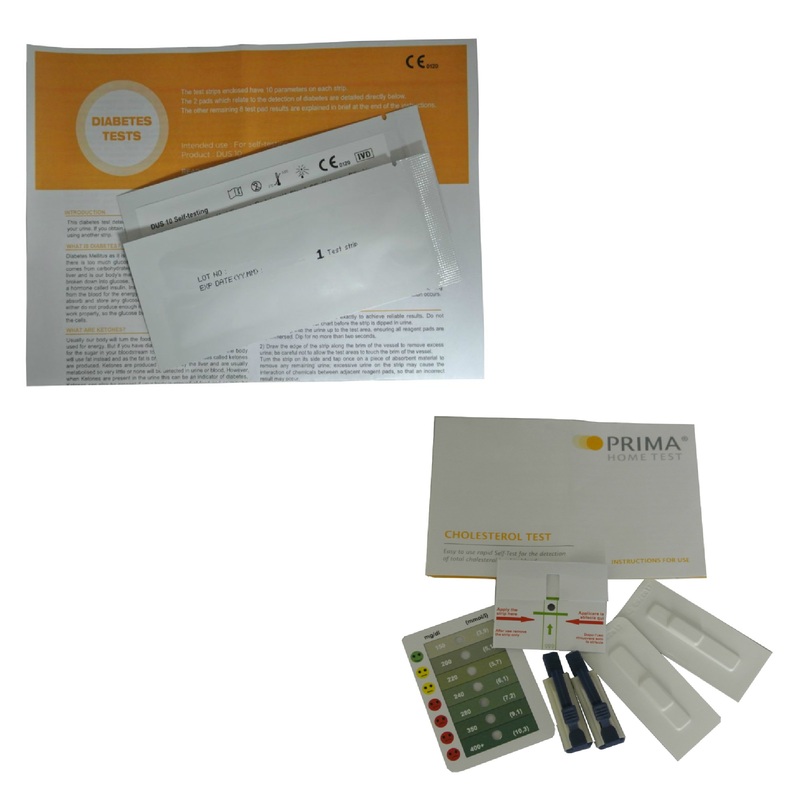 Cholesterol is diagnosed from a blood test. How can I reduce my cholesterol levels? High cholesterol is a major factor of heart disease, but it can be treated through diet and exercise. The first step in lowering cholesterol levels is to change your diet. Most individuals can reduce their cholesterol level 15-20% by reducing the intake of foods high in cholesterol and fat, especially saturated fat. Fatty meats but if you do eat them cut off all the visible fat. Fat or oil in cooking. Prawns, shrimp and fish roe. Dairy products such as full milk, cream, cheese, butter and ice cream. Egg yolks, limit to 2 a week. Cakes, crisps, biscuits, sweets and chocolate. Try to grill or steam meats instead of frying or roasting but if you do roast, place meat on a rack to allow the fat to drain off. When frying choose a vegetable oil, such as sunflower. Fish, especially oil rich fish such as sardines, salmon, mackerel, pilchards and trout. This type of fish contains Omega-3 fatty acids and they are thought to lower LDL cholesterol. Poultry (chicken, veal or turkey) but remove the skin. Low-Fat dairy products, use semi skimmed or skimmed milk, low fat yoghurts and mono or poly-unsaturated spreads. Foods high in polyunsaturated (found in nuts, seeds and vegetable oils) and monounsaturated (found in olive, rapeseed, walnut oil and avocado) fats. Fruit and vegetables, you should eat at least 5 portions every day. If you smoke you should give up and try to maintain a healthy weight. Regular exercise may also help lower fat levels, try brisk walking, swimming or cycling. However, if you’ve not taken exercise in some time, are over 40 or have been ill, you should check with your doctor before doing anything too strenuous. If these methods fail to lower your cholesterol levels, your doctor may prescribe a drug which will help to lower your cholesterol. How can I avoid having high cholesterol? The only way to try to prevent high cholesterol is to stick to a healthy balanced diet, low in saturated fats, get regular exercise, quit smoking and maintain a healthy weight.